Morgan and Justin are married!!! WOWOWOOWWOOW! Their wedding day was incredible! I have been brought to tears not only on the day of but every time I go through or work on these images too! There was so much raw emotion, so much love to share. Gahh! I knew that I would be in love with the expression of their style and holy moley it did not disappoint. 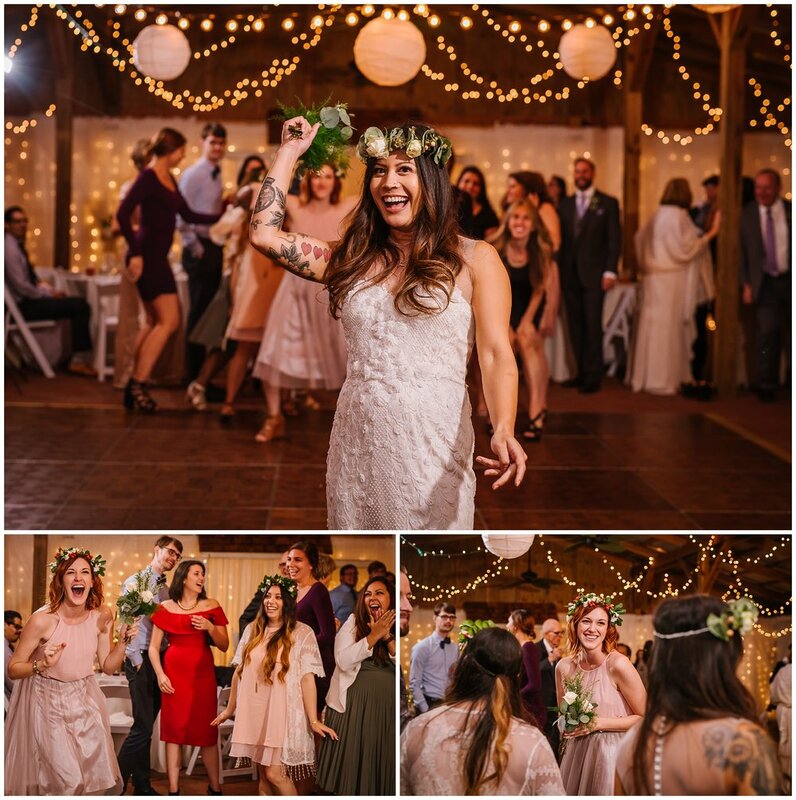 Cross Creek Ranch nailed the warm and eclectic bohemian style! I loved their hanging lights, lanterns, and greenery! They had the most beautiful naked cake with berries and of course my favorite bubbles, Freixenet Cava. The romantic themed books for each centerpiece was such a lovely touch that went perfectly with their while flowers, succulents, and wild cotton. Morgan’s insanely gorgeous BHLD gown was perfect for her effortless style. It had just the right amount of vintage detail, the creamy tone was delicious, and the illusion top was just so beautiful and showed off her tattoos perfectly. And I just have to comment on how genius she was on her shoe choice! She had the softest leather sandals with pom poms! And I really hope that you noticed her wedding band. It is proudly engraved with the words “Not to be fucked with.” Can I get a YAS KWEEN!? Justin’s style was on point as well. He was perfectly tailored in his Brooks Brothers suit and could hardly keep himself together in his eagerness to see his beautiful bride. More on that soon. If the stunning aesthetics weren’t enough let’s talk about all the LOVE!! They had a stunning ceremony in the venue's new open air chapel. Under a birch and garland pergola these two shed tears and exchanged vows. But nothing wrecked everyone’s hearts more than Morgan’s special vows to her new official step-daughter Hannah. Gahhhhhhhh. I am tearing up just writing about it! It was so special and so wonderful. 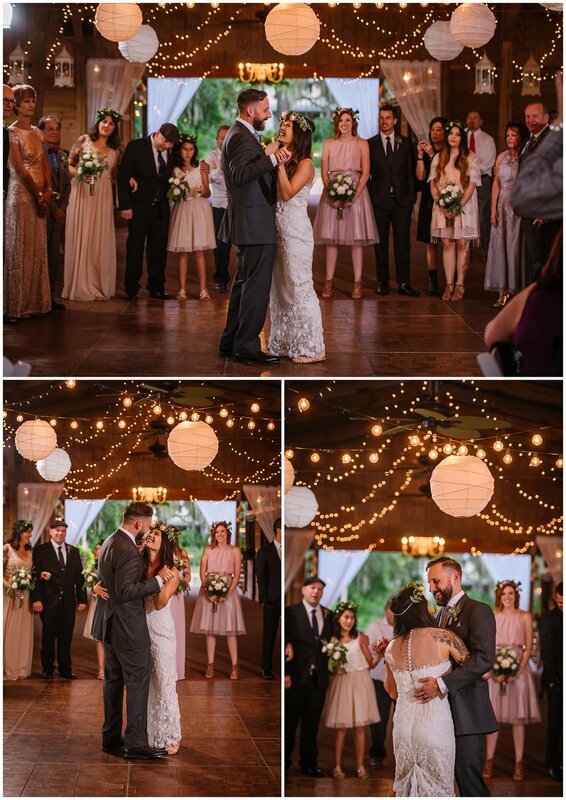 And all this was after the tearful first look between Morgan and her father! Guys! As if all of that weren’t enough we were then graced with the most amazing fall sunset. The weather was perfectly cool and we chased the golden light around the enormous property of Cross Creek Ranch. Somehow it was just as magical as their engagement session. And we had just as much effortless fun, except this time they were husband and wife! What followed was one of the most fun receptions! I am so glad that so many people danced! 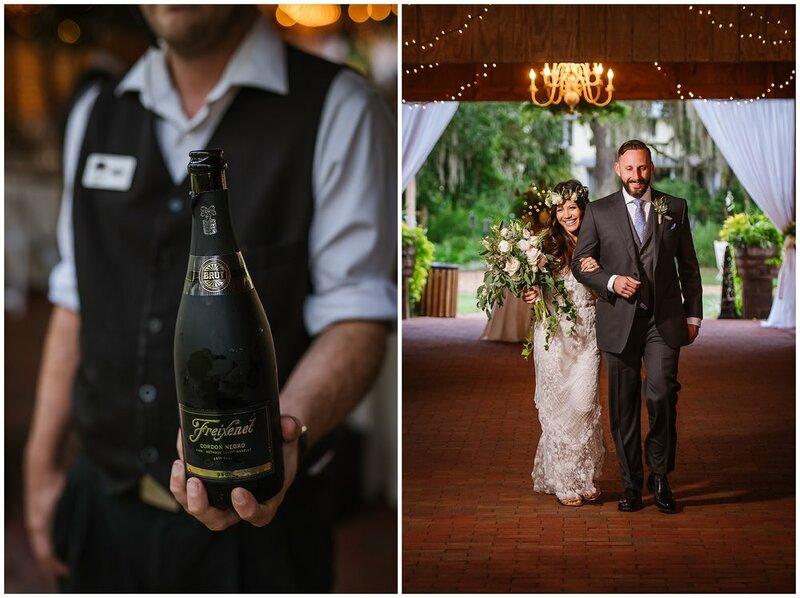 The sparkler exit at the end was the perfect way to send these two off for their Shanghai adventure honeymoon! Yep they hopped on a plan to China at dawn the very next morning! I hope you all enjoy these highlights from an incredibly special day! Congratulations you two!